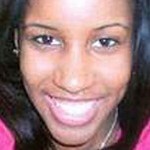 Why isn’t the national media covering the story of missing 17-year old Phylicia Barnes? Barnes dissappeared in Baltimore in late December. Local authorities suspect foul play. They also suspect that the lack of media coverage of Barnes’ dissaperance is largely due to race.